This is a deleted scene from Thor: Ragnarok. 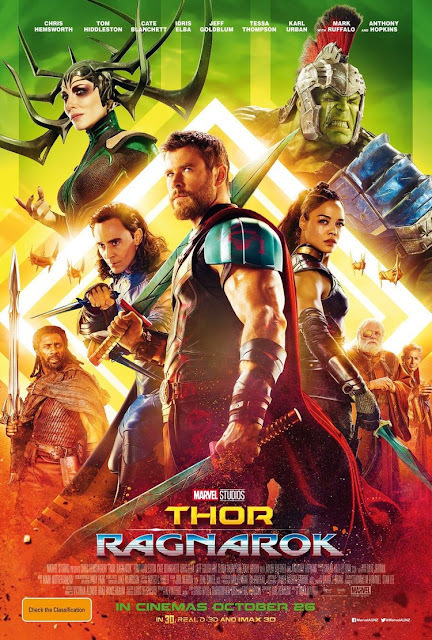 Directed by Taika Waititi, it stars Chris Hemsworth, Tom Hiddleston, Cate Blanchett, Mark Ruffalo, Benedict Cumberbatch, Jaimie Alexander, Anthony Hopkins, Karl Urban, Mark Ruffalo, Jeff Goldblum, and Idris Elba. Check out the video below. "Imprisoned, the mighty Thor finds himself in a lethal gladiatorial contest against the Hulk, his former ally. Thor must fight for survival and race against time to prevent the all-powerful Hela from destroying his home and the Asgardian civilization."